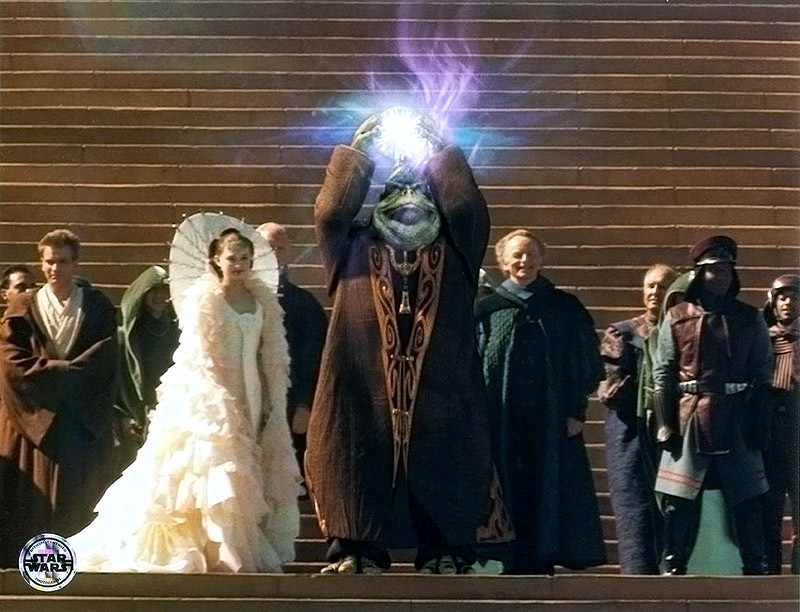 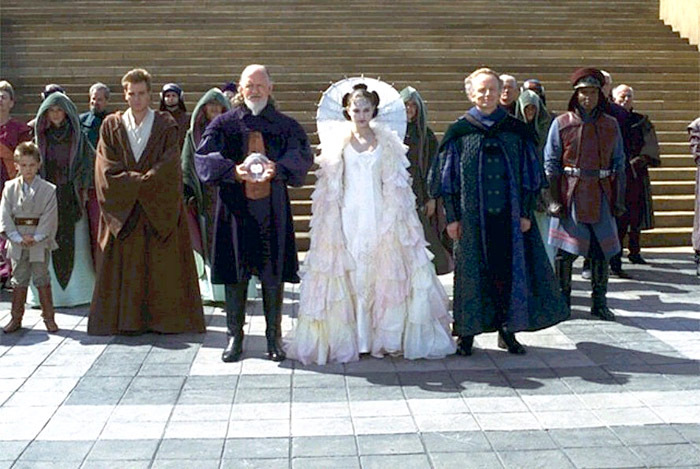 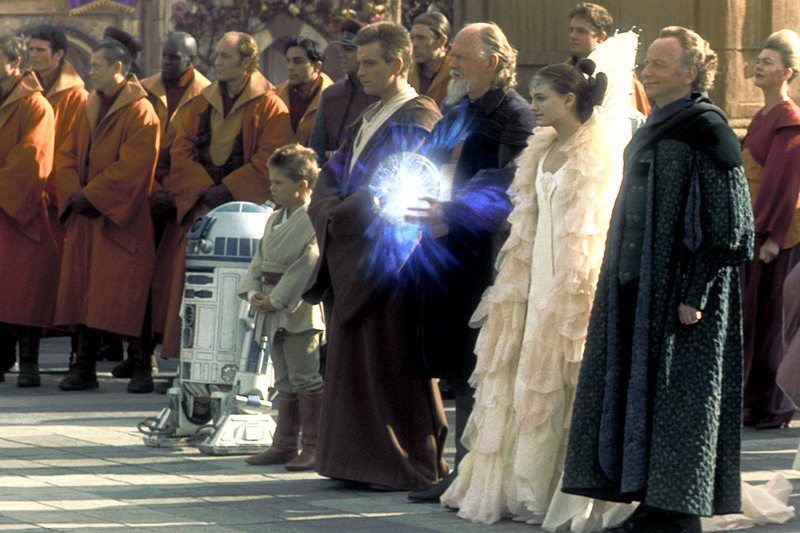 The Phantom Menace:For the celebration following the defeat of the Trade Federation, Queen Amidala is able to wear a less formal gown than her normal robes of office. 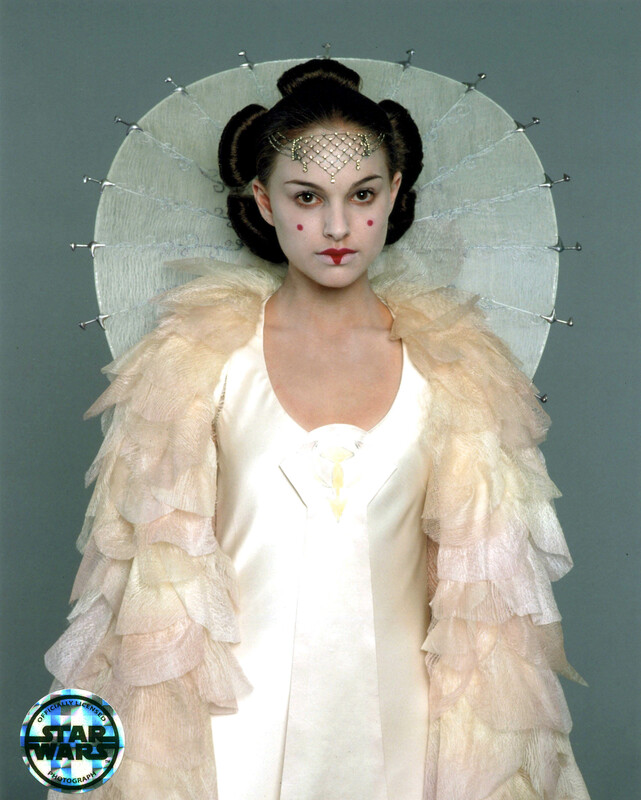 The simple white dress is symbolic of the peace that has been found and it is adorned only by Naboo royal emblems down the front. 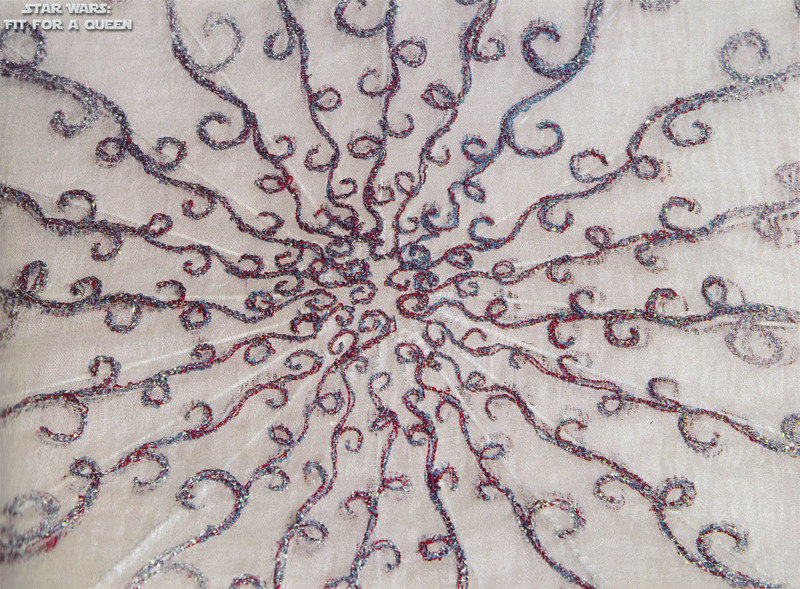 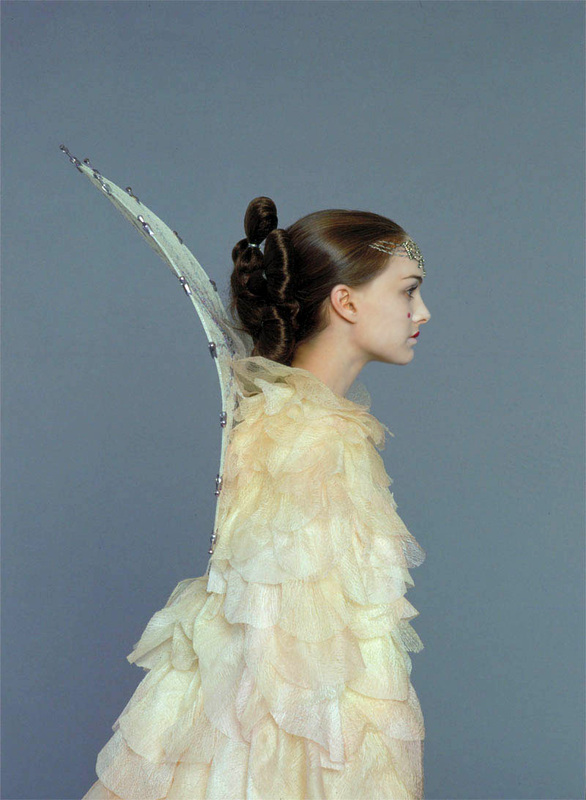 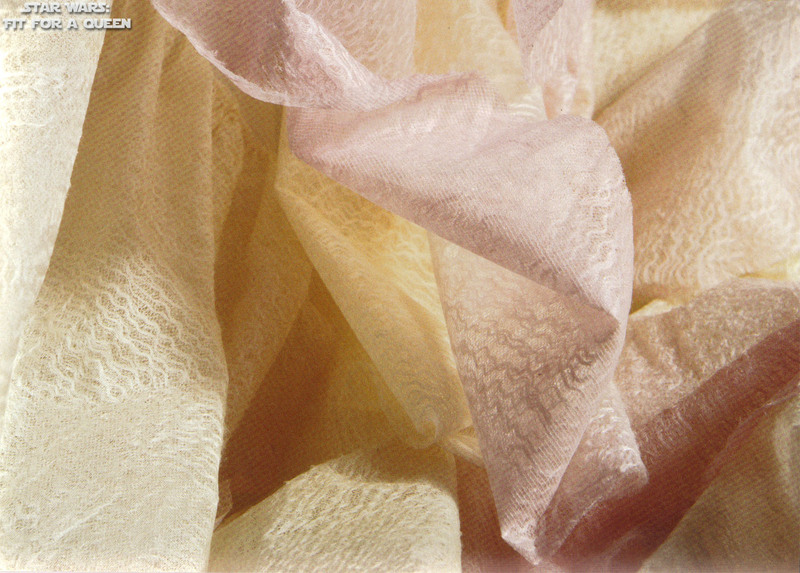 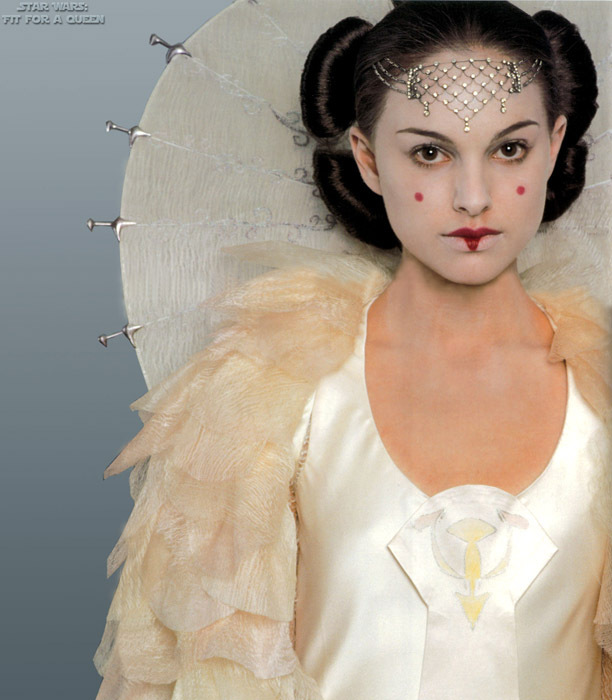 The silk petals of the cape are made to resemble large flowers grown near Amidala's home village. 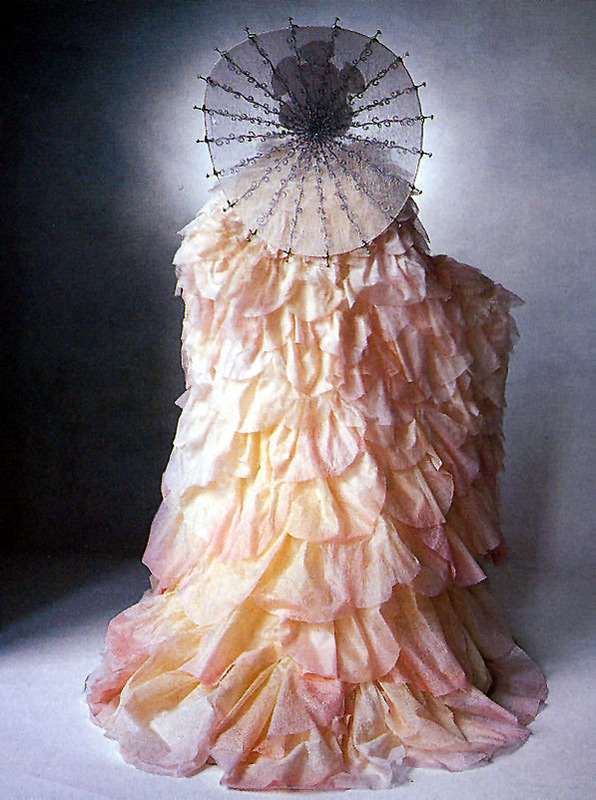 These special flowers blossom only once in 88 years, so their appearance marks a special occasion. The impressive fan behind the dress is an acknowledegment of the past, as the ancient royal fashion represents continuity among the Naboo. 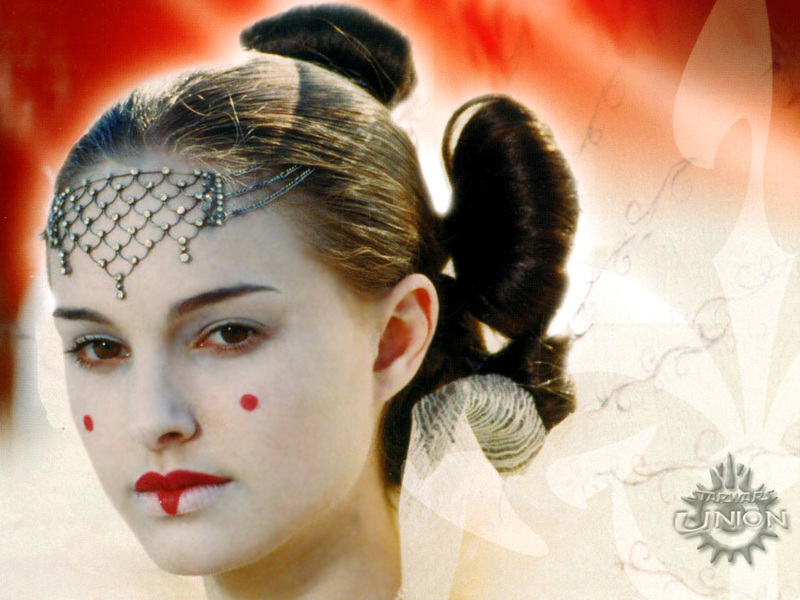 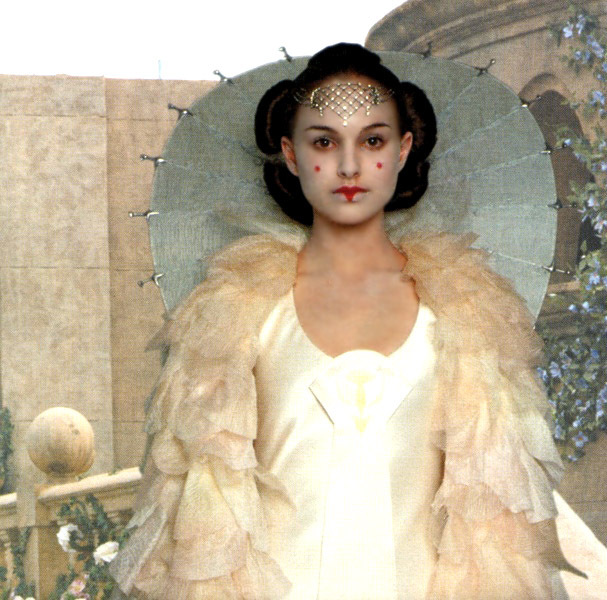 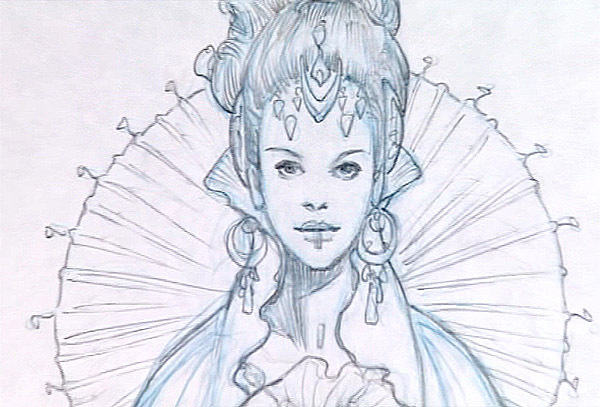 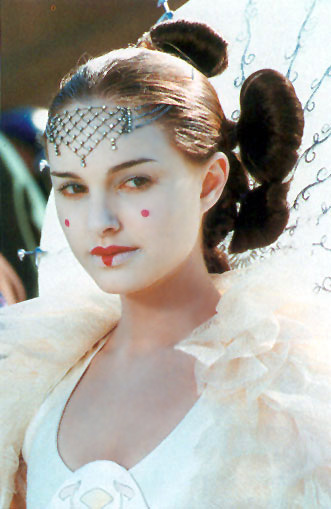 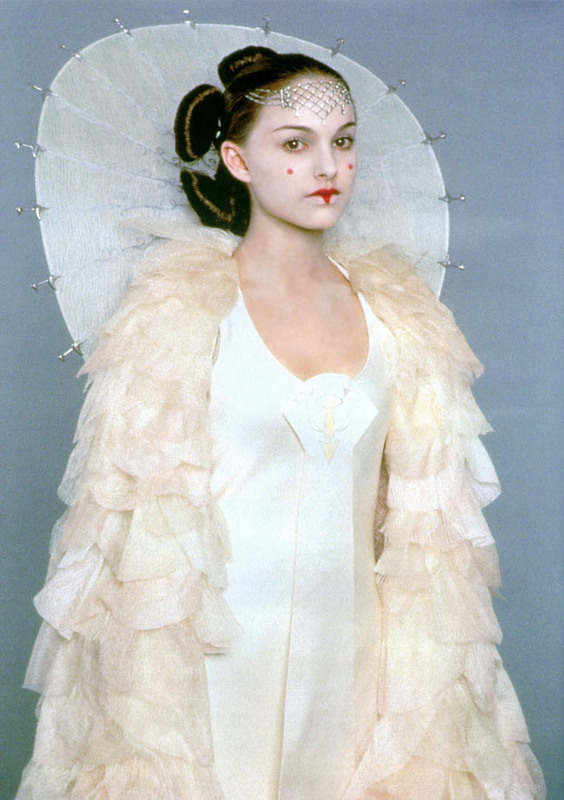 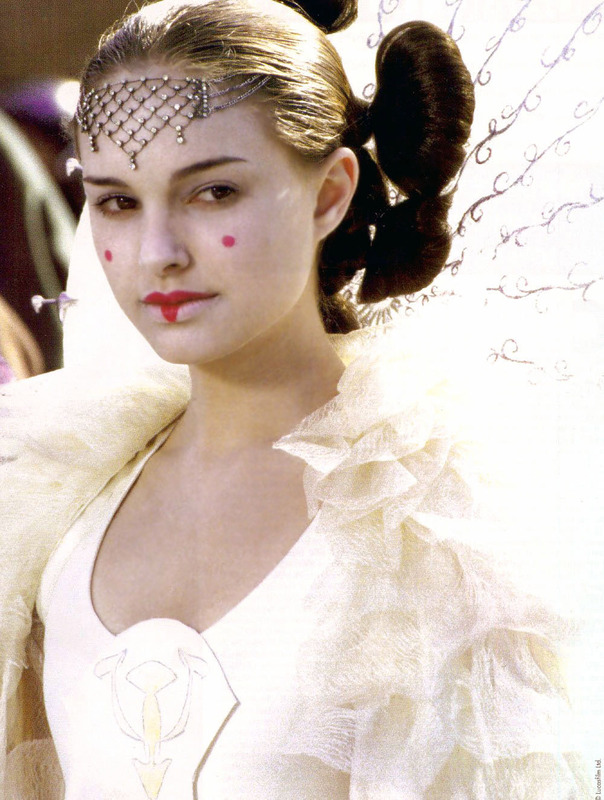 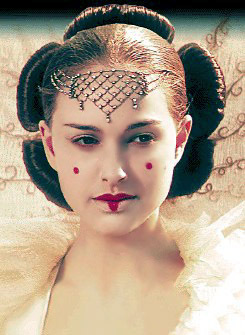 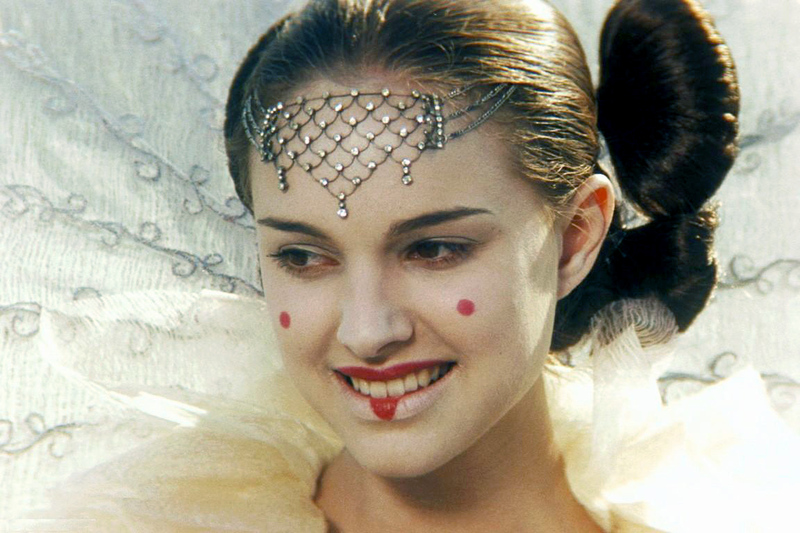 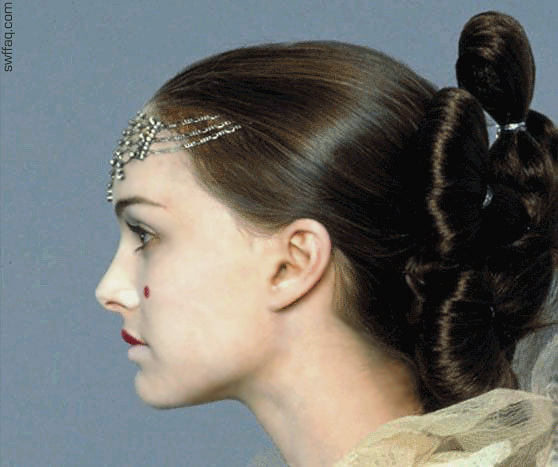 For simplicity, Amidala wears minimal jewelry, as only the Royal Diadem hangs on her forehead. 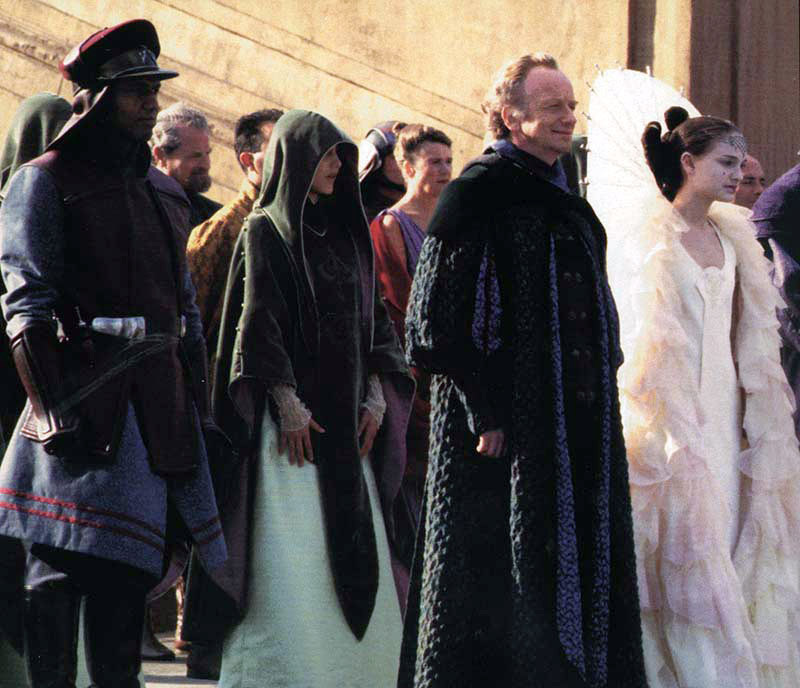 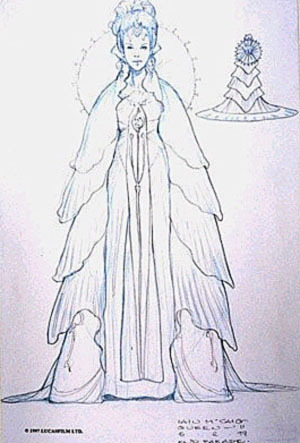 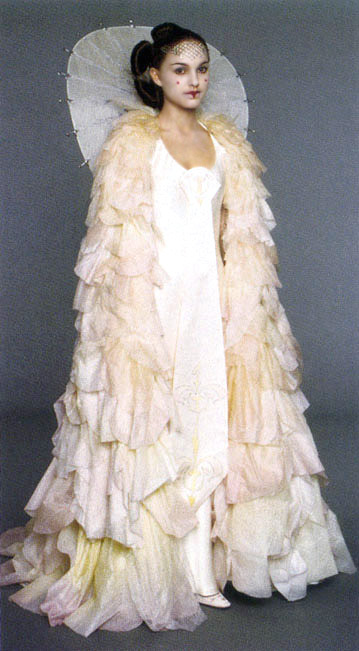 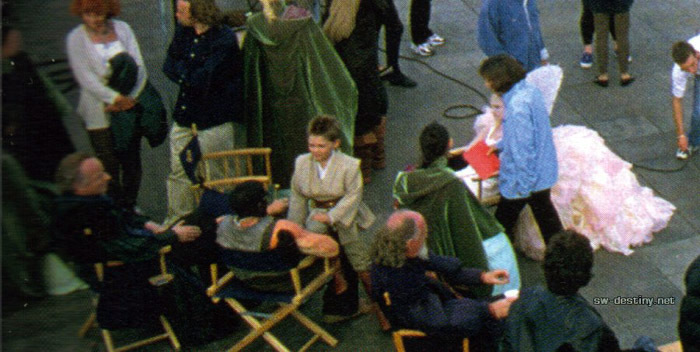 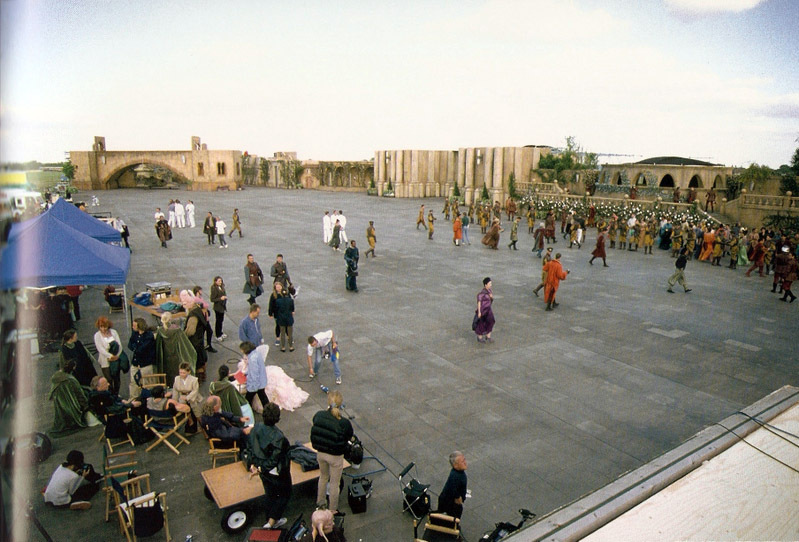 Design: For the film's finale, George Lucas wanted a dress that would represent the celebration occuring around the Queen. 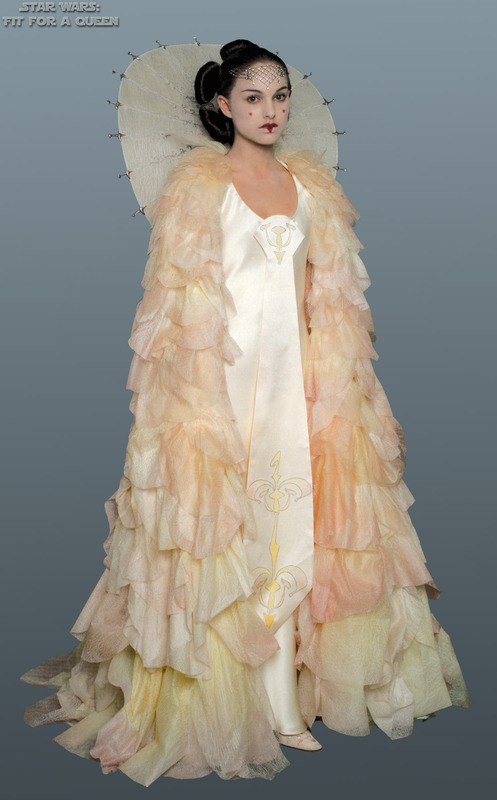 According to Trisha Biggar, "It had to be very light and beautfiul with the feeling of a wedding dress. 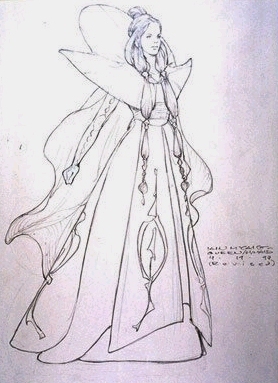 George also liked a drawing Iain McCaig had done that showed a very large, unusual collar at the back of the dress." 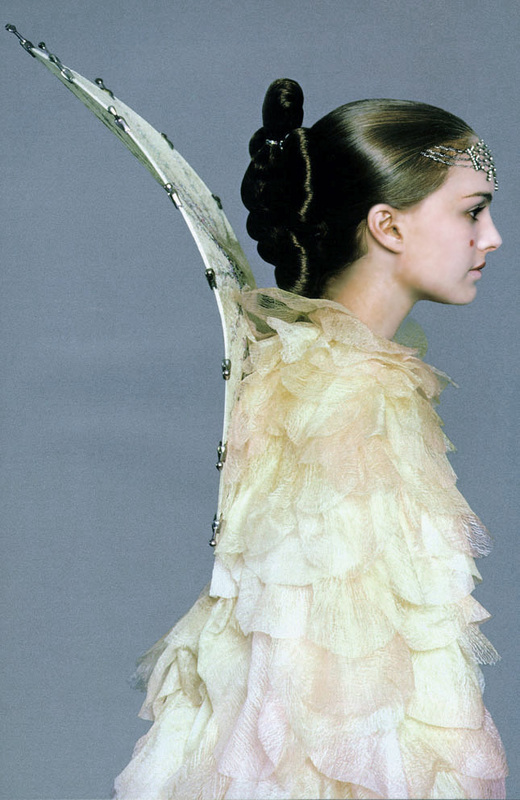 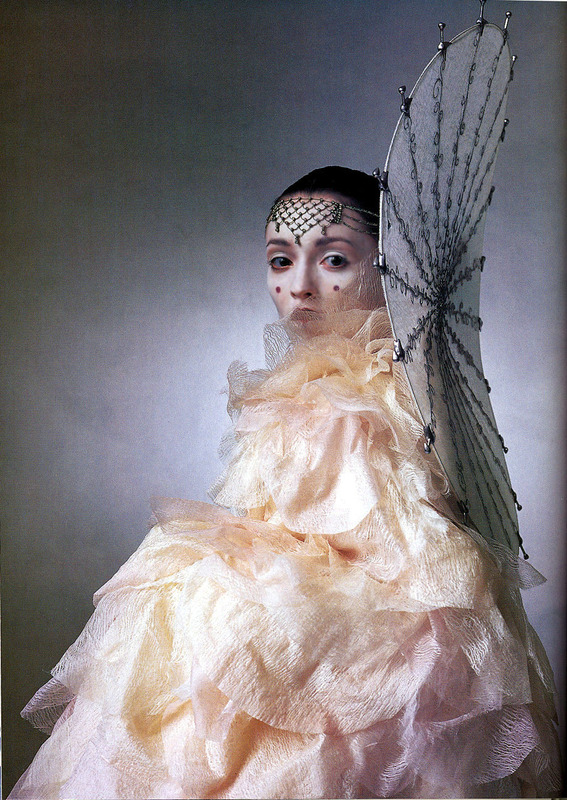 Iain McCaig would say of this dress, "For that purpose, I designed a parasol-like collar that almost makes her look like an angel." 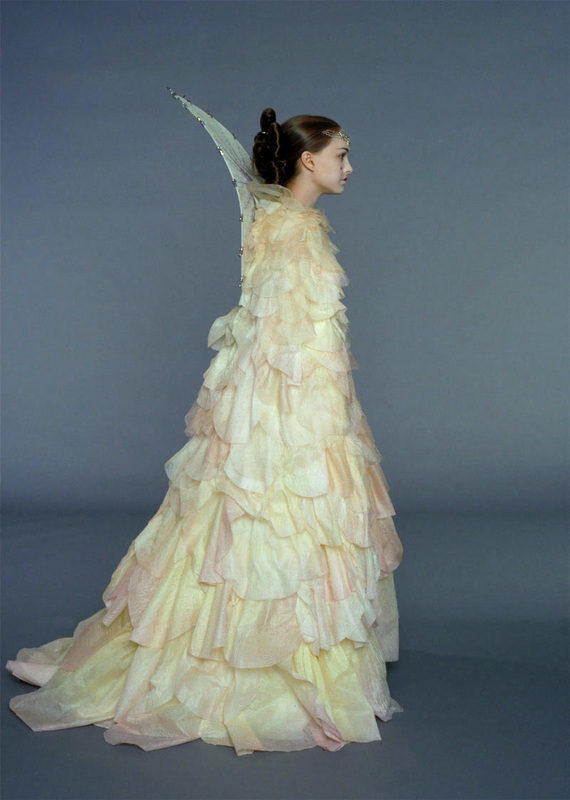 The Parade Gown was sewn and dyed completely by hand, including all the approximately 250 petals of the cape, though the dress was only used for two days of filming. 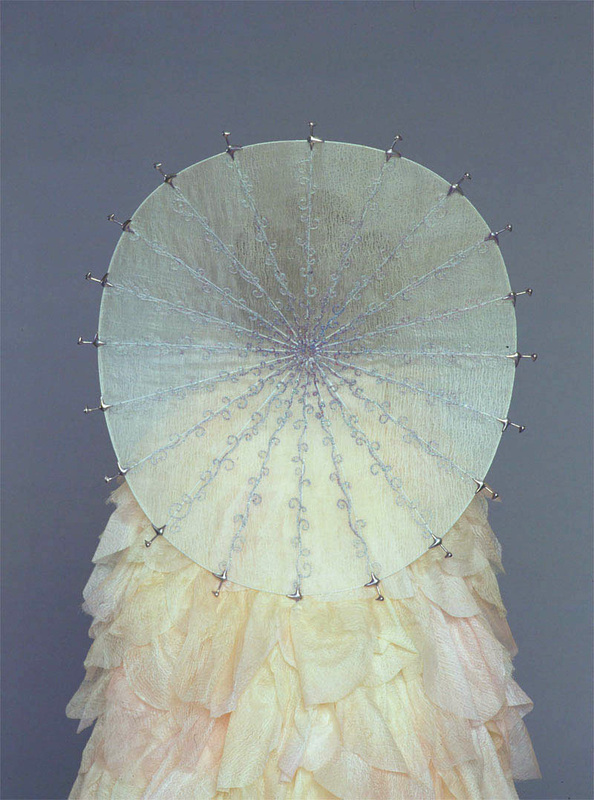 The delicate headdress was a vintage latticework with multi-faceted jewels suspended on silver chains.